Happy December! Hard to believe today specifically is the last day of the year. Time has flown by! 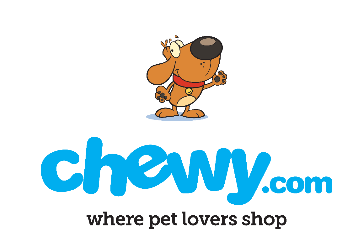 This month Chewy sent Anna and Bailey some new treats to try out. 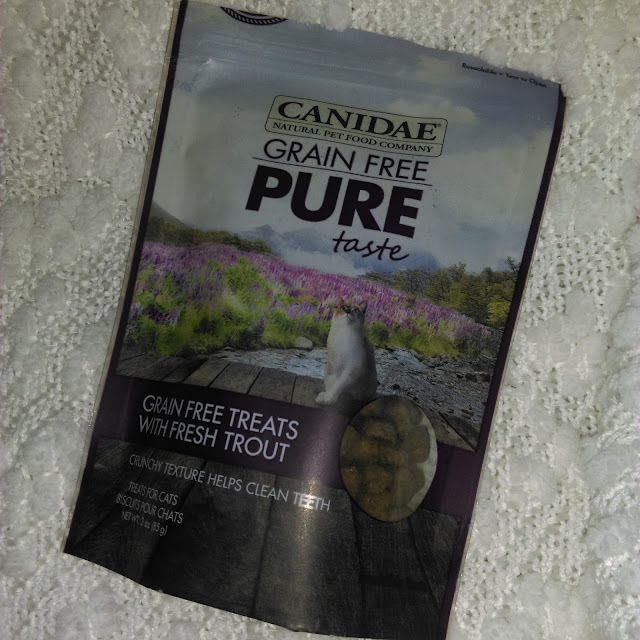 The Canidae Grain Free Pure Taste Cat Treats With Fresh Trout. My cats love their treats, they get about 5 daily and they look forward to it. As soon as I opened the bag, the girls came running. I gave them each a handful of the treats, but sadly they just sniffed them and walked away. 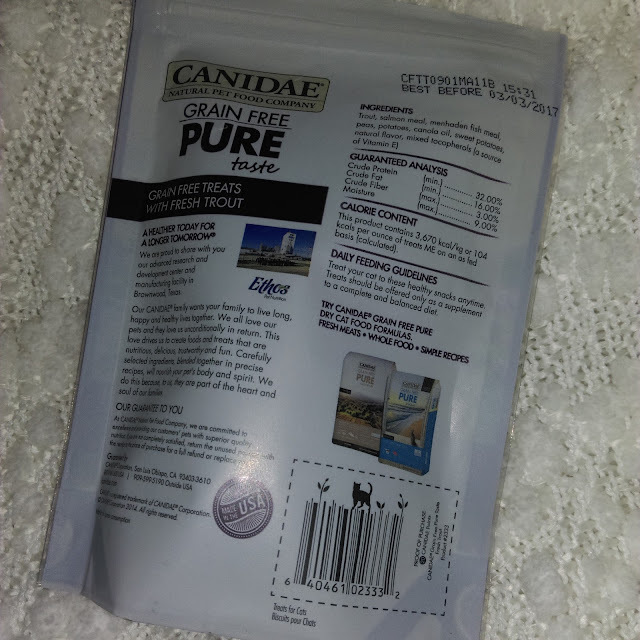 Even my cat Bailey who will usually eat just about anything, she wanted nothing to do with these. 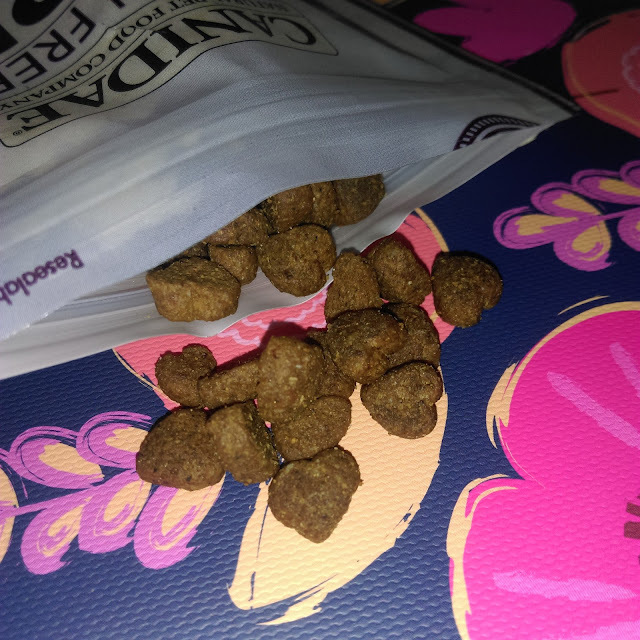 I put them in their dry food, and they picked around them. Neither one of my cats even sampled a piece. Some things are a miss with them, and this is one of those rare occasions. Usually one might like something and the other will not, but this was a complete across the board sweep. They just aren't fans. Needless to say, this only gets a 1 paw rating.